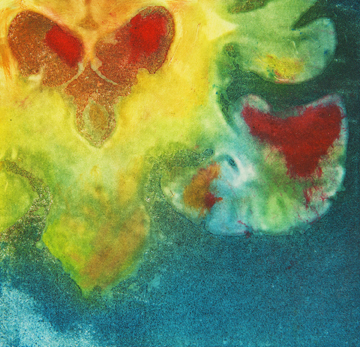 Utilizing state-of-the-art neuroimaging technologies, my artwork displays parts of the brain in ways that are rarely seen outside of the medical and scientific community. My work is at the convergence of art and science: advances in the scientific and technological fields are paving the way for a new sensibility...neuroimaging in particular is unique among scientific endeavors in that the imagery created is so identifiably human. 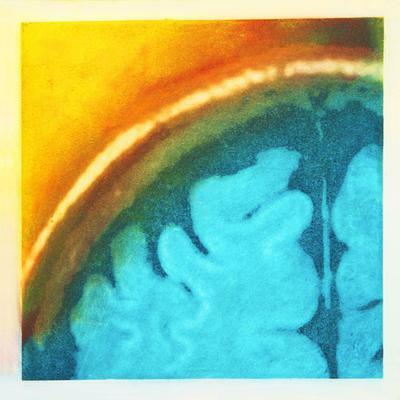 My etchings and digital collages express the beauty and mystery of the brain revealed through my own MRI images of my brain. 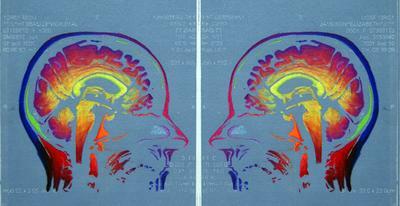 Brain scans became a major part of my life when I was diagnosed with Multiple Sclerosis in 1992. As the stack of MRIs grew in my studio, so did my fascination with the brain and the eerie black and white images that seemed to hold my fate. The digital images of my brain were frightening, yet also immediately mesmerizing. The art that resulted came from an urge to reinterpret these images, to use them to explore the wonder and the complexity of all brains-including those with the disease. 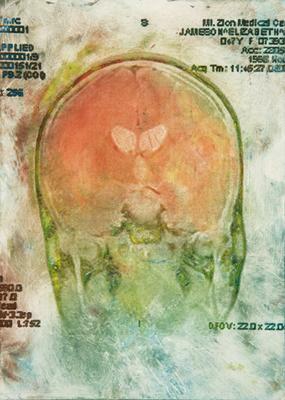 My intent is to create images that show the splendor of the brain, with all its powers to change, adapt, and confound. This work expands the conventional definition of portraiture by questioning what it means to be human, and by challenging viewers to see themselves as more than simply their likeness. Please visit jamesonfineart.com, or find me on Facebook, to see more of my work. At last I can have found something from this post boliviabella - good job. The MRI scan has really changed the face of the medical industry. It helps in the recognition of many serious disease and doctors able to advice the correct treat to cure the particular disease. These MRI images look amazing. These images are so amazing,and so beautiful Elizabeth!! !